Shudh Desi Romance opened well on its first day. The film had a decent opening at places and picked up quickly at places where it started slowly. The film did very well in the Delhi NCR and Rajasthan belt on day one. After having good day one, the film showed solid growth over Saturday and Sunday. 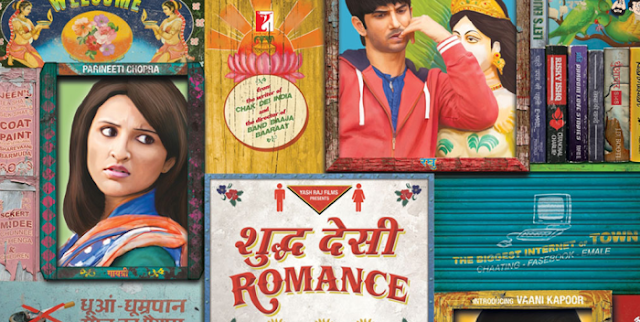 Shuddh Desi Romance managed to get into the top ten weeeknds of the year in 10th place and the films above it are considerably bigger films. Below are the highest collecting weekends of the year. Zanjeer opened poorly all over. the multiplexes were awful and although single screens were better they were still very low. The Telugu version of the film Thoofan did better and that could do some decent business. Zanjeer emerged as one of the biggest disasters of the year. The film costing around 60 crore including print and marketing costs has managed to gross under 10 crore nett in its first weekend. The breakdown for the first three days is as follows.